Are you always scrolling through Pinterest and other websites trying to find the easiest recipes to try out at home? Fret not; you are not alone. Today, let’s look at truffles. Of all the truffle recipes we have seen, we reckoned a Tiramisu Truffle recipe is not only impressive but also incredibly easy to make. We took about 20 to 30 minutes for the preparation and actual “cooking”, and another 10 minutes the next morning to portion it out to serve. Did we also mention that the end result was fantastic? You need to try this ultra-easy and amazing White Chocolate Tiramisu Truffles Recipe. Character cafés are on the rise here in Singapore and adding on to the ever-growing list is the spanking new Gudetama Café Singapore. Gudetama is Sanrio’s latest character and quite possibly the current most popular one. It is no doubt that the whole world is in love with this adorable lazy egg. Officially opening its doors to the public on 30 November 2016, Gudetama Café Singapore will be serving a myriad of cute Gudetama-themed desserts that will make your hearts melt. We were thrilled to step into the café with cosy lighting and intimate egg-shaped booths around. Spanning a large area of 2,300 square feet, the cafe at Suntec City can sit up to 112 people. Of course, expect snaking long queues in the first few weeks. Here are some of the dishes you can expect from Gudetama Café Singapore. The whole stretch of restaurants and eateries along Macpherson Road always leaves us spoilt for choice. We decided to give Aroy Mak Mookata a shot. 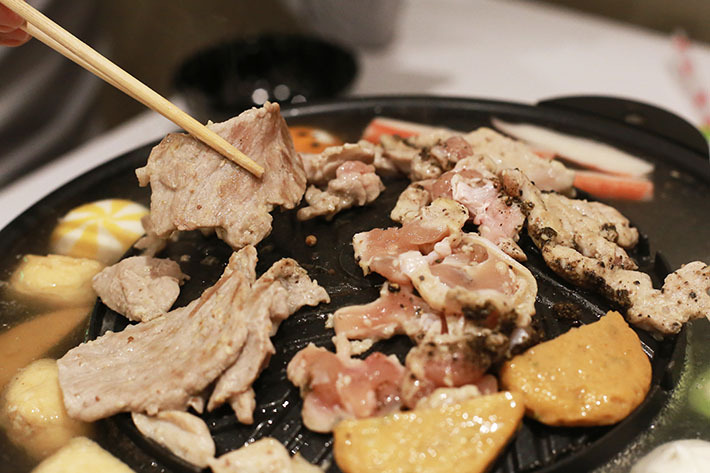 At just S$17.80 Nett, you get a huge variety of meats and ingredients for your Mookata buffet. As you take a stroll down Tsukiji Fish Market in Tokyo, you will be greeted with a plethora of snack stations, eateries and coveted sushi restaurants. There are a number of big names here, one to look out for is Sushi Zanmai—a popular choice among both locals and tourists. Despite being a sushi chain, Sushi Zanmai is still commendable. The ingredients are extremely fresh and each sushi is intricately made by the team of expert sushi chefs behind the sushi counter. You can even catch the chefs in action up close if you manage to snag a sushi counter seat. Sushi Zanmai’s sushi platters are well loved because they are considerably inexpensive for the amount and quality. Our tummies were certainly satisfied after gobbling them up. Here is why you need to visit Sushi Zanmai. UberEATS has finally launched in Tokyo, Japan! We were invited to the launch of the app in Tokyo and had a full experience of UberEATS, from tap to table. While UberEATS has been around in Singapore for awhile, this launch in Japan is the 8th country and 34th city added to their fast-growing and extensive list. Their mission is simple – to make eating well effortless at anytime for anyone. The efficiency of tapping on your smart device and having a meal or snack delivered right to your doorstep is our idea of convenience. In Tokyo, 150 restaurant partners have partnered up with UberEATS for this launch and there will definitely be gradual expansion in time to come. Launched on 29 September 2016, UberEATS has already been a hit with the local crowd. Tokyo is a unique city as it has a strong dining culture. UberEATS in Tokyo is so diverse because you can get anything from a simple Acai Bowl to a full on restaurant-quality meal from Michelin-starred restaurants such as SOUGO. F1 weekend is near. The reality of this year’s Singapore Grand Prix is that pretty much all the good rooms to watch the F1 race has been booked up completely. However, there is always 2017′s race to look forward to and better yet, you have more time to slowly consider your favourite rooms to book the perfect one for next year’s race. Usually, most rooms are booked at least three to four months in advance and maybe even more. There might still be some decent rooms lefts, but the best suites and views are probably all taken. Fret not, you can always try your luck or look forward to next year. 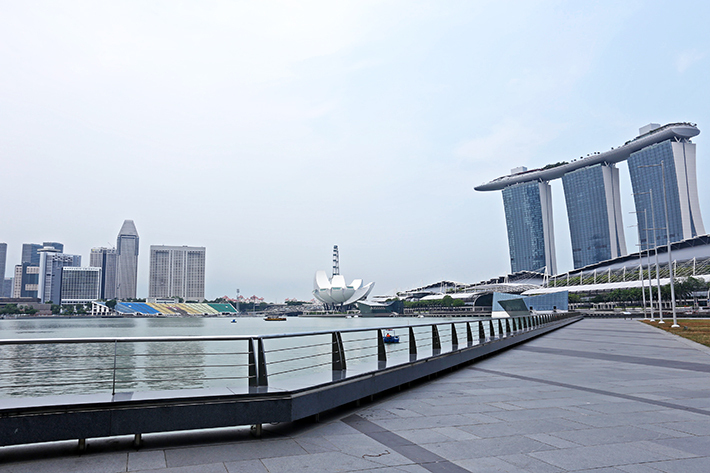 Here are 8 Best Hotel Rooms to Catch The Singapore Grand Prix F1 Race. Poké-mania dawned upon us a couple of weeks ago. We have since seen an increase in the number of Poké-inspired food and drinks all over the world after the release of Pokémon Go. Tons of creative ideas were stemmed from this augmented reality game; restaurants and cafes have come up with Pokémon character doughnuts, burgers and even coffee! The fact is, the world hasn’t gotten enough of Pokémon just yet. Here are 8 Pokémon-Inspired Food & Drinks That Are Almost Too Adorable To Eat, that Pokémon Go lovers will go gaga over. Okinawa sits on the Southern-most tip of Japan, surrounded by water and with a primarily tropical climate. The prefecture has rich culture and heritage to boast, and it is an upcoming Japanese destination among travellers. Of onsen resorts, water activities, great food and spellbindingly beautiful sceneries, Okinawa is quite unlike the big Japanese cities like Tokyo and Osaka. Okinawa will enchant with its island life and resort-style experiences. Okinawa is hugely influenced by Chinese culture from when the prefecture was once called Ryuku Islands – which was an independent kingdom and tributary state to China for several centuries. Hence, some of the customs and cuisine differ slightly from the Japan we know. Thanks to the Okinawa Prefectural Government, we had a chance to experience this part of Japan and were brought around to have a taste of the best of this lovely cluster of islands.